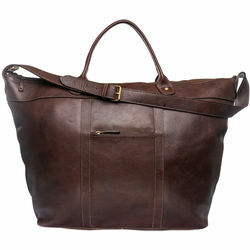 Men and bags go a long way! 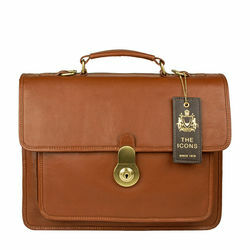 Up until pockets came into the picture at the end of the 16th century, bags were a big hit among men and women alike. 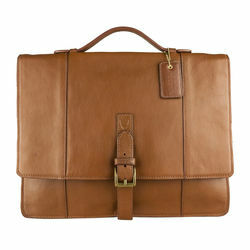 However, the trend has gotten back in recent years and Hidesign has just the right bag-style for every personality type. 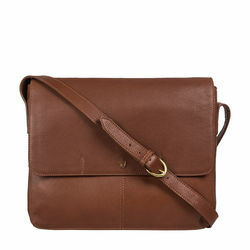 Browse through our collection of backpacks, messenger bags, crossbody bags and travel bags in subtly smart hues like tan, brown, black, red and blue. 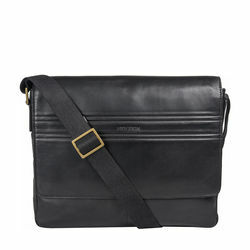 Define your style with Hidesign leather bags. 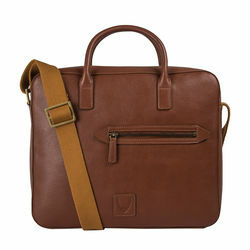 Watch out for the Travolta 03, a rich brown, semi-formal men's crossbody bag that could double up as a go-to bag for your casual meetings. 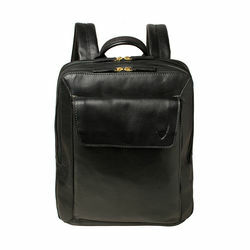 On the other hand, the Flint, a full grain leather backpack that comes in handcrafted, black leather will take your style-quotient to another level. 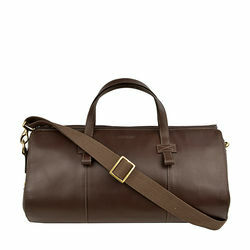 Leather bags for men - Your travel buddy. 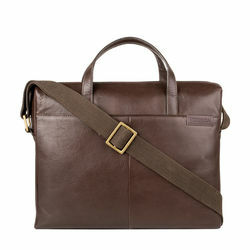 If you're looking to travel in finesse, the Romani 01 is the bag for you! 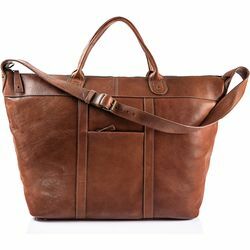 Being a canvas duffel bag that works well for short trips, including those you might take for business, it takes care of it all - your laptop, clothes and papers - and even has an interior padded section for a tablet. 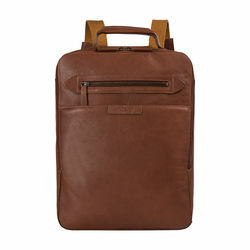 The Gear 02, which is a stunning brown wheelie bag, is a lightweight suitcase that has been crafted well to include accessories and shoes, and also keep clothing wrinkles at bay. But wait, who says you can't travel locally and look just as good? 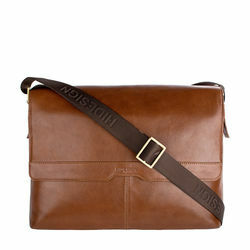 The Fitch 02 in tan is a messenger bag that combines class and fun in the right proportion. This number is handcrafted in Ranchero leather and has just enough pockets and divisions to secure all your electronic cables, untangled. 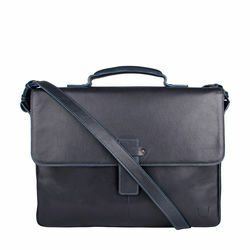 If you appreciate a more formal look, the Maverick 02, that comes in black, will fulfil your briefcase requisites. 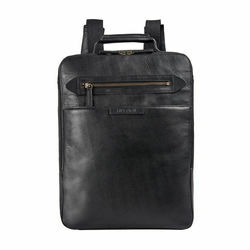 Side note: Check out the sleek Uranus 01 SB to keep your laptop protected while you're out traveling; it works just as well for day-to-day use. 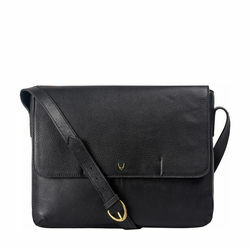 It even has a padded compartment that will let you add a tablet to your travel-tech list. 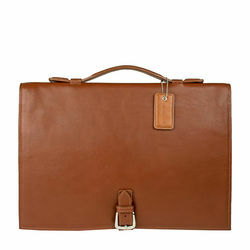 But, if you're just looking for a smart laptop sleeve that is impeccably classic, check this one out! 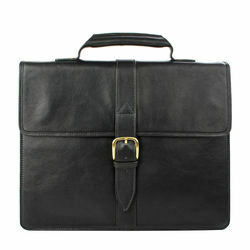 Shop online for all things leather at Hidesign.com.